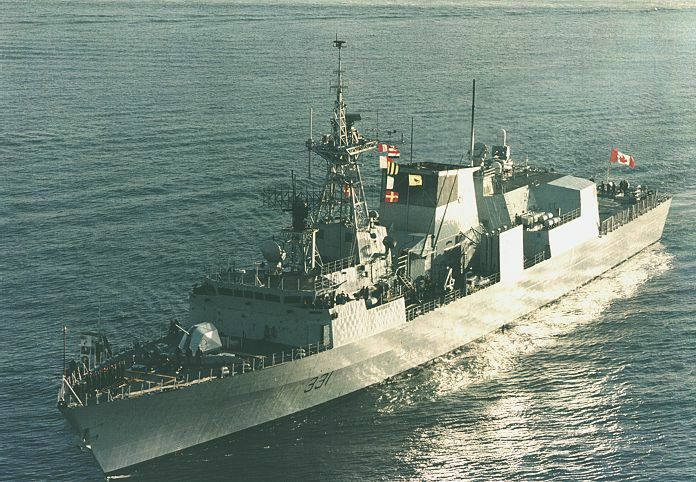 The HALIFAX class are proving to be excellent ships to serve on. 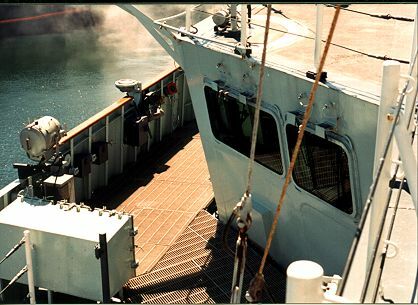 A lot of respect has been gained from other navies and ship builders during trials and exercises. 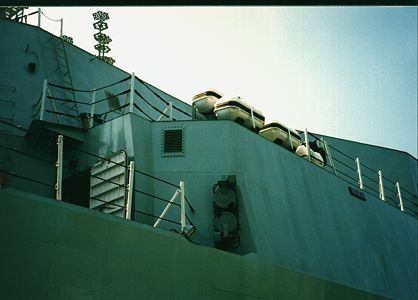 The ships can accelerate from a stand still to 30 knots in 60 seconds and stop from 30 knots in less than 500 meters. 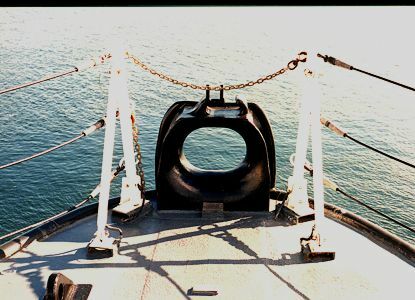 The ride is very steady with hardly any roll. 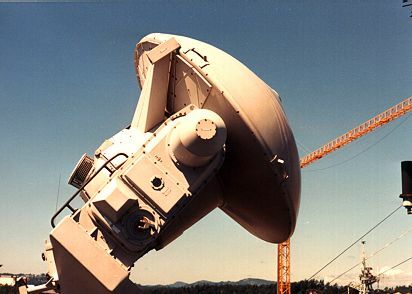 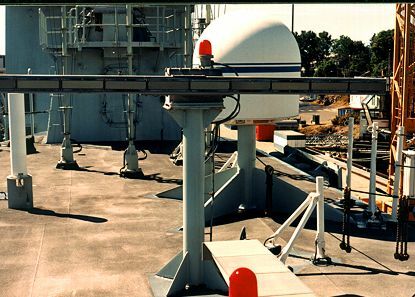 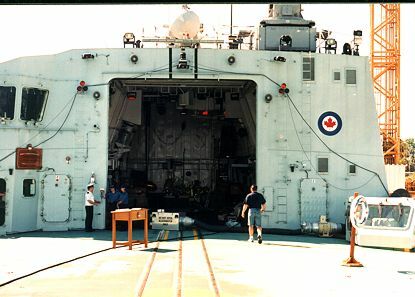 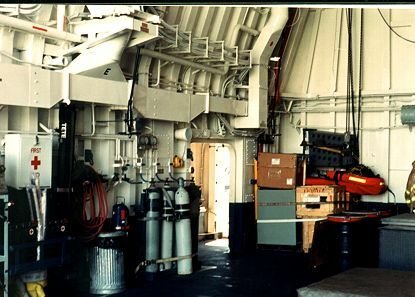 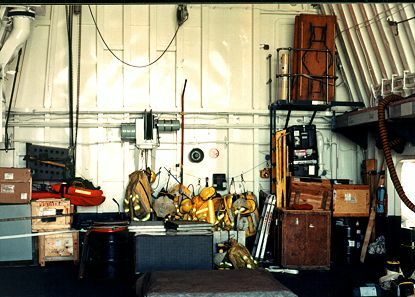 The radar/sonar suite they carry allow an operating theatre of roughly 100 nautical miles around the ship. 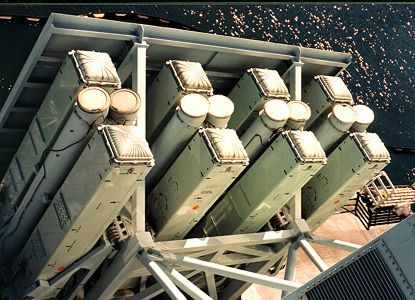 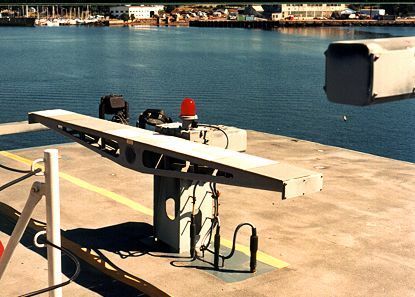 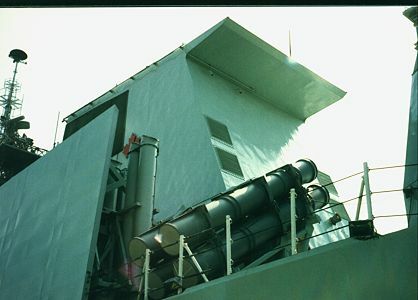 The weapons allow defence from missiles/planes/ships and submarines. 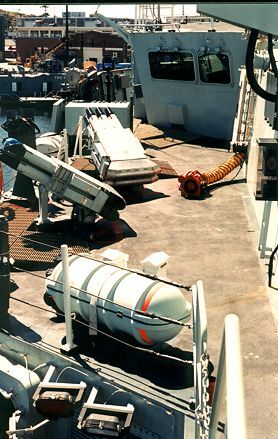 Also carried is a full set of electronic counter measures. 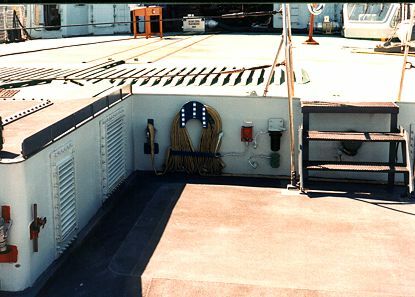 sides and a lack of vertical surfaces or 90 deg corners. 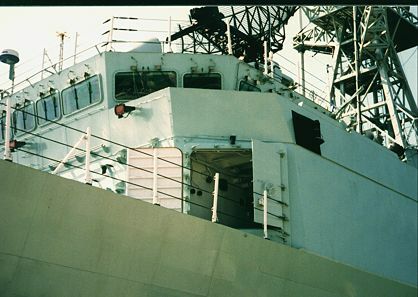 The ships have a course corrected degaussing system installed. 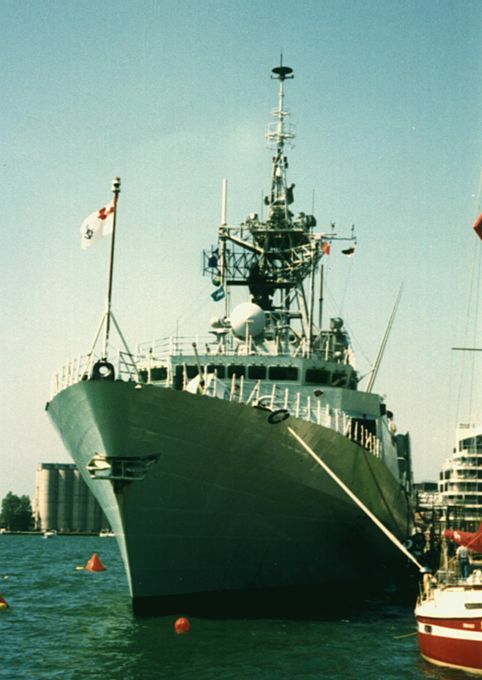 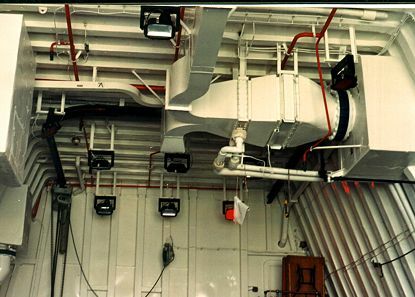 All ships are thermally insulated with additional insulation on exhaust and ducting. 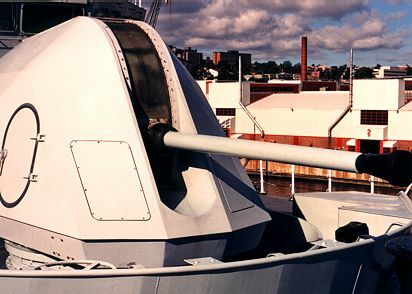 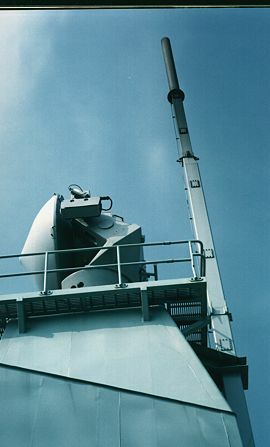 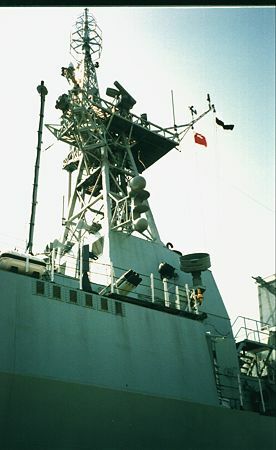 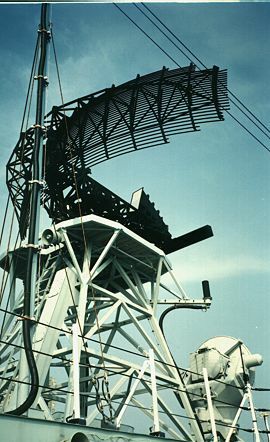 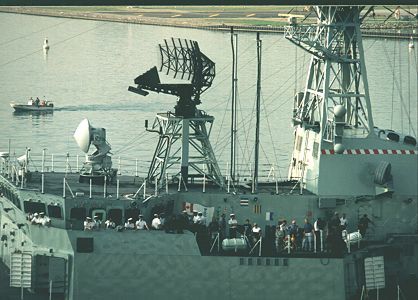 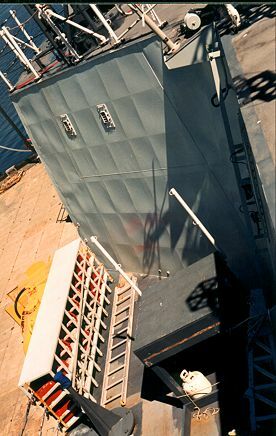 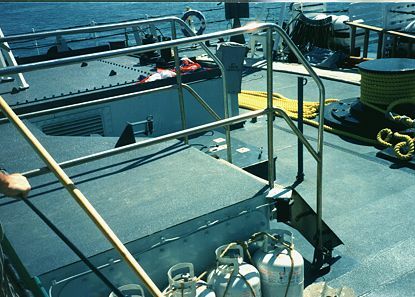 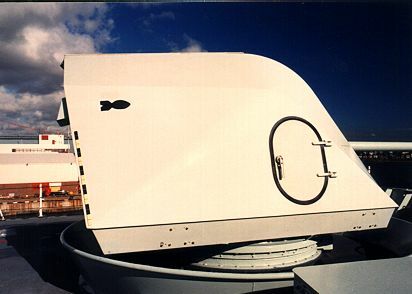 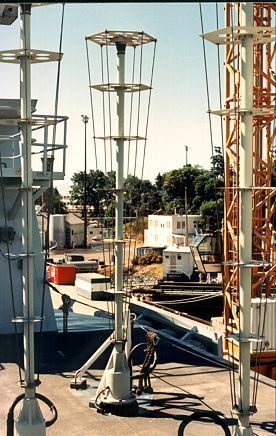 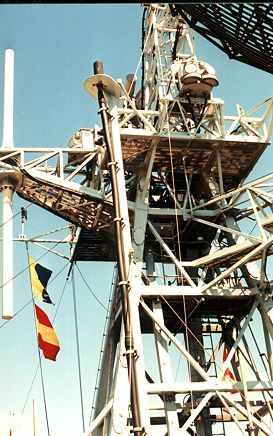 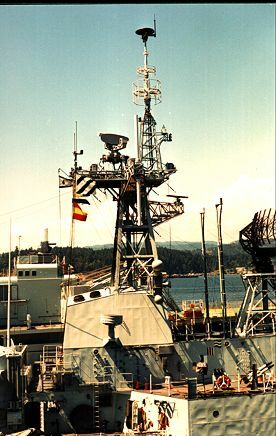 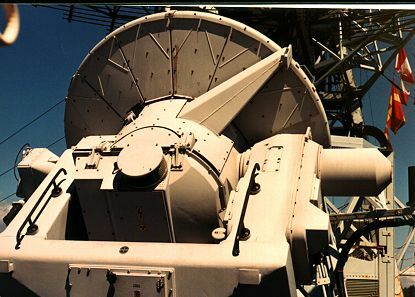 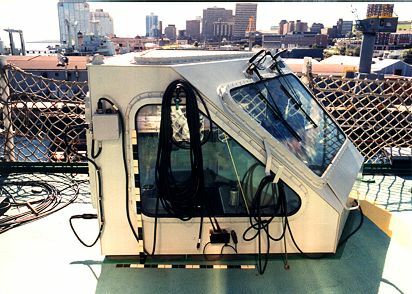 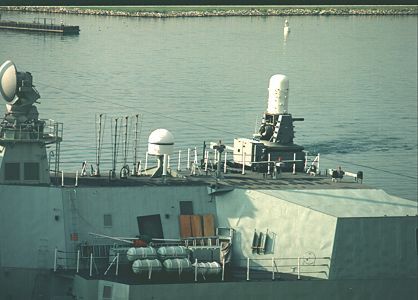 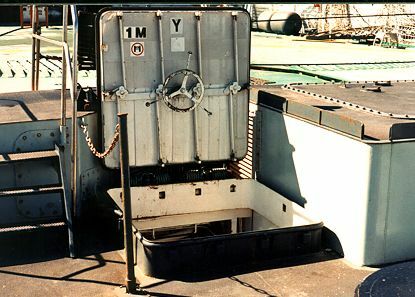 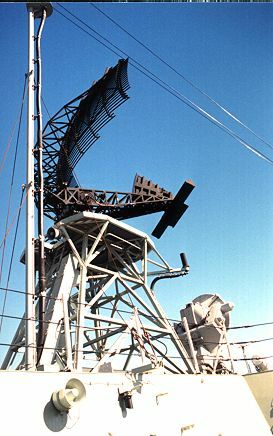 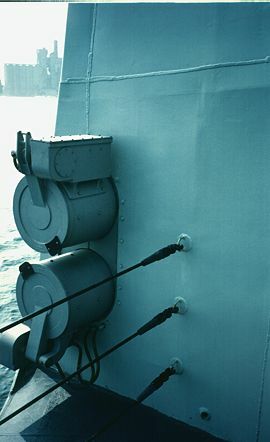 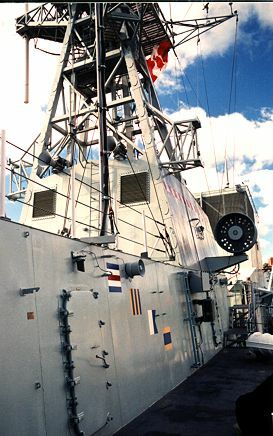 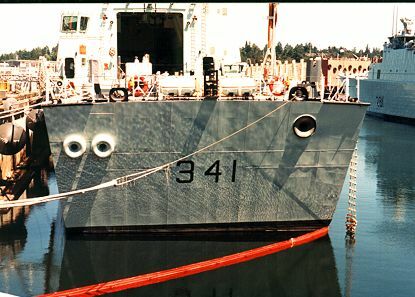 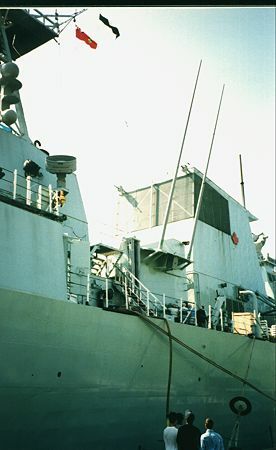 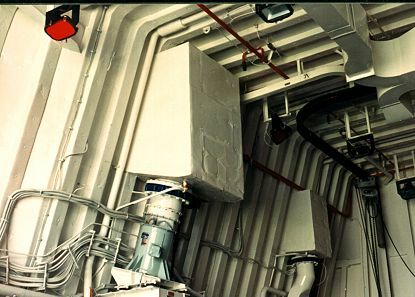 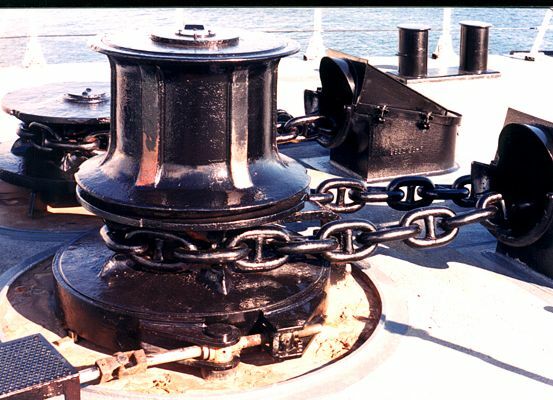 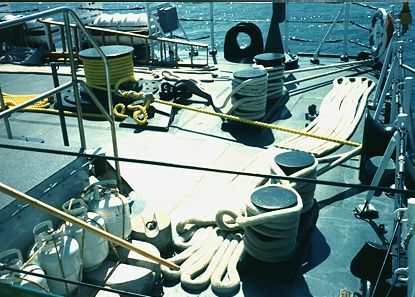 The funnel has a cold air ventilation system with the gas turbine uptake fitted with a DRES (Defence Research Establishment Suffield) Ball and an open grating eductor. 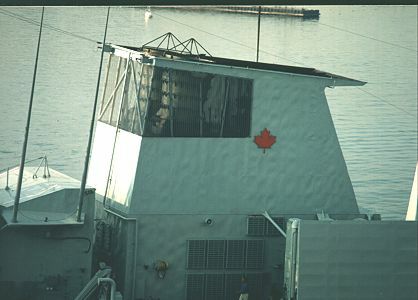 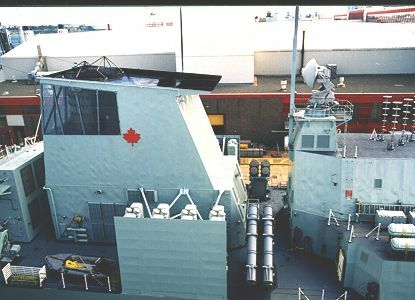 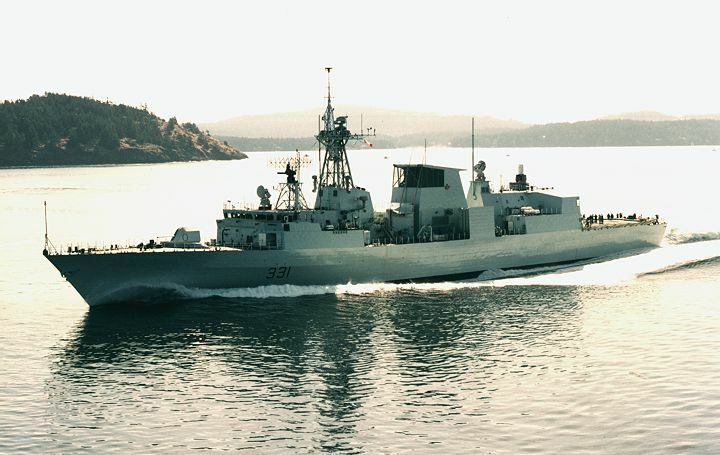 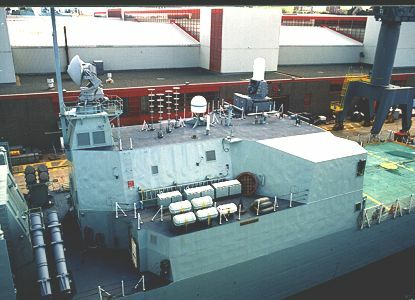 The computer technology for integrated machinery control, communications and combat systems is all Canadian designed. 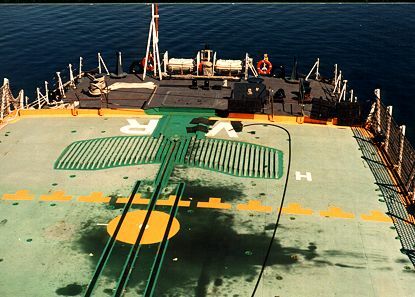 The Sea King helicopters that are normally carried on deployment are rapidly nearing the end of their useful life and will need to be replaced in the near future. 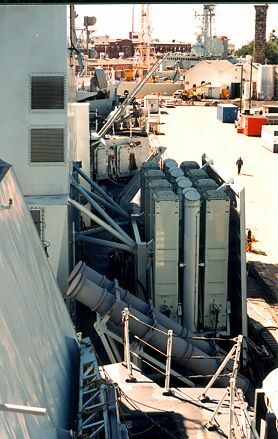 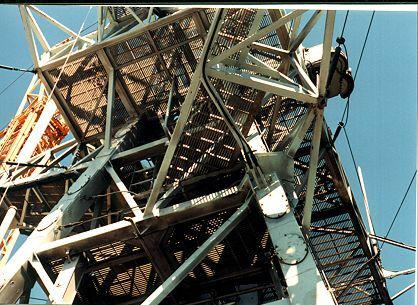 The designers were aware of this and therefore designed the hangar to accommodate the largest naval helicopter available at the time. 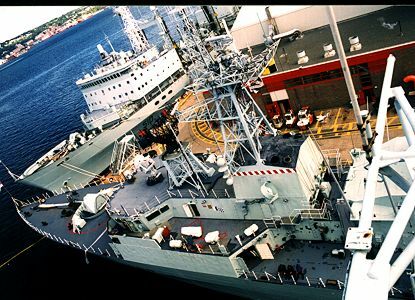 Studies are ongoing to determine the next helicopter to be purchased for the Navy role. 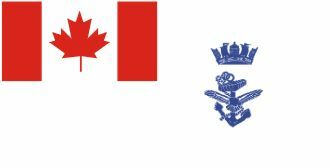 The Agusta Cormorant has been purchased for the SAR role replacing the aging Labradors and the naval version, the Merlin, is a strong contender to replace the Sea Kings. 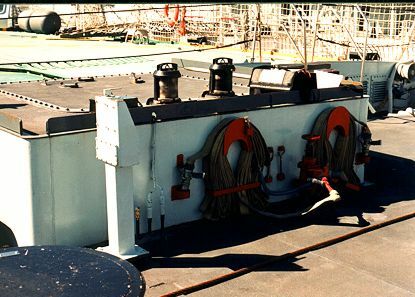 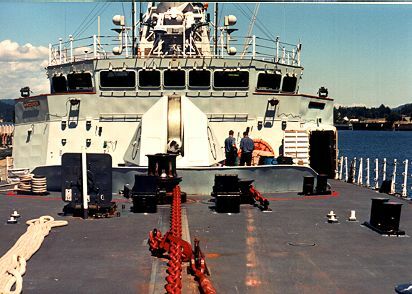 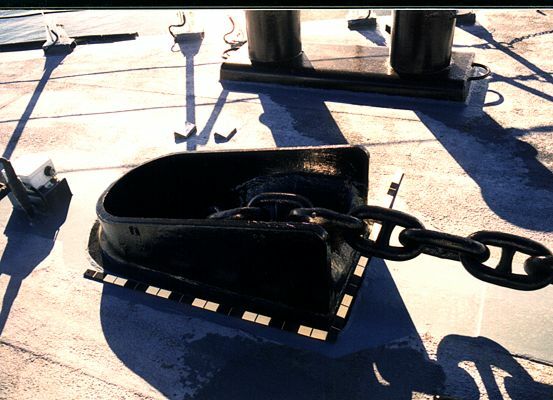 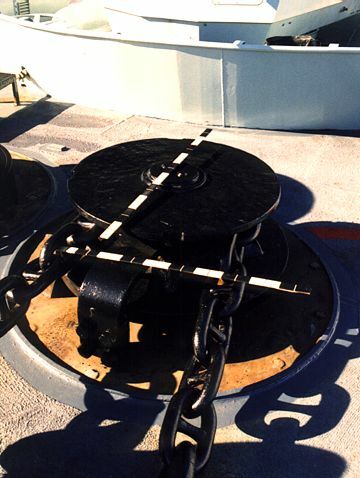 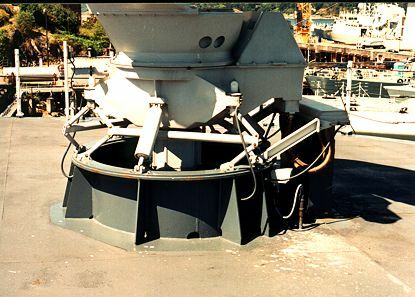 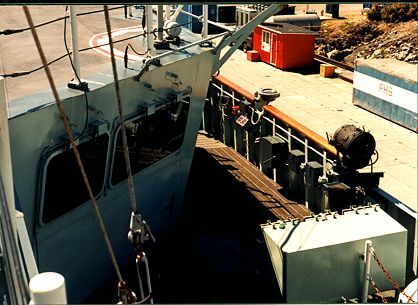 When in port, each ship is usually stripped of all live ammunition and maintenance is carried out on board. 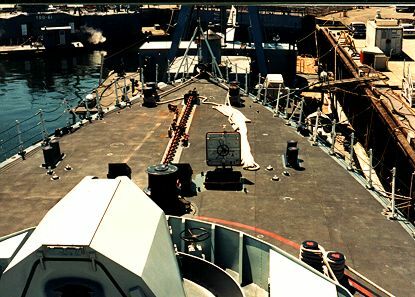 Some of the photos below have been taken at the dockyard and show areas of the ships that have items removed for repair or servicing. 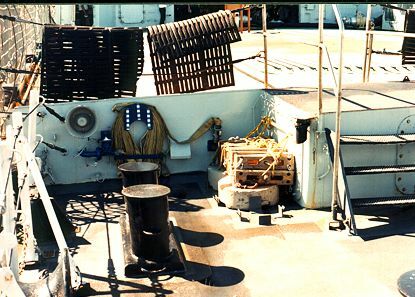 I have tried to include views that are unique to the ship class and kept the common items that are well documented in other places, to a minimum.